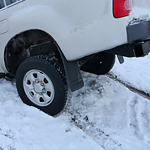 Our team at Kyner's Auto Sales, Inc. wanted to help our customers to survive rough road conditions this winter. Here are a few of the things you must include in your winter survival kit. Being stranded on winter roads with a car with a dead battery is made worse by the fact that most people aren't traveling with a set of jumper cables. Pack a new set in the trunk so any motorist can help start your vehicle. Don't be stranded with a disabled vehicle waiting for help without a bag of snacks and drinks to keep everyone comfortable during the wait. A few bottles of water and things like granola bars, cookies, and snacks, can help pass the time faster. Be sure to pack a small bag with some essentials like a flashlight, batteries, duct tape, vise grips, hammer, screwdriver, and first aid kit. Pack a bag with a blanket, gloves, and hat.